What Kind of Justice Can There Be When Judges Have to Find Defendants Guilty to Keep Their Court Open? A Louisiana court forces defendants to literally pay for their crimes—without questioning whether they can afford to. There’s no “get out of jail free” card in Bogalusa, Louisiana. Just a “get-out-of-jail fee.” The city court doesn’t just charge you for breaking the law; it charges you with impossible debt, forcing you to pay with cash or with your freedom. The city’s so-called “debtor’s prison” operation, known for jailing defendants charged with petty crimes after piling on usurious penalties, locked up Rozzie Scott in a financial trap after he was caught stealing $5 worth of pizza and ground beef from a local store to feed his family. Although he’s still paying down the legal debt his poverty earned him, last month he and other residents sued the court to challenge what civil-rights advocates call a predatory corruption of justice. Bogalusa—a former KKK stronghold where a third of residents live in poverty—has been exploiting its most vulnerable residents through the legal system, according to the suit, filed with the support of the Southern Poverty Law Center (SPLC). The activists charge that Judge Robert Black has for years run an extortion racket from the bench, extracting fines and fees for nonviolent civil and petty offenses, like traffic violations, to finance his own courtroom. 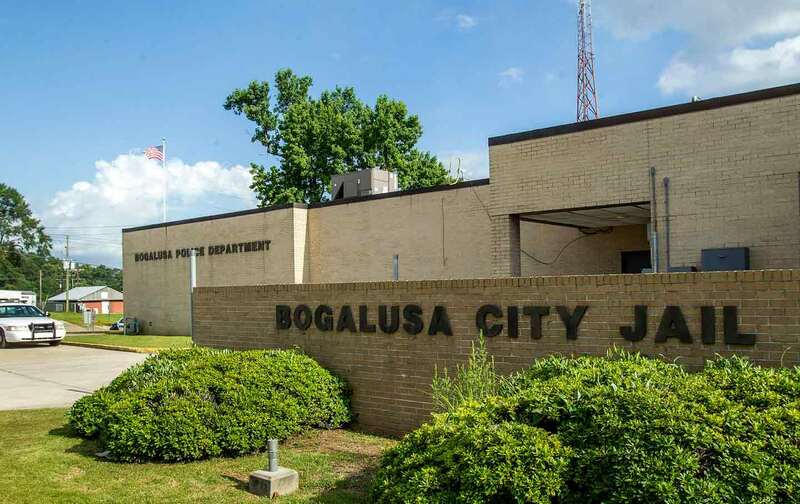 Similar to other Louisiana cities, according to the suit, Bogalusa’s judiciary suffers a structural budget deficit due to low state funding, about 25 to 32 percent annually. Forcing debts on the poor then becomes a revenue generator. In 2015, the funds raised to shore up the court’s finances were “at least $64,000 in judicial expense funds from court costs and fees and at least $5,000 in extension fees,” about 20 percent of the budget outlays. Scott’s pizza theft turned into Louisiana’s most expensive snack on May 13 when Judge Black imposed a fine of $450, which was then compounded by a $50 extension fee when he missed a one-month repayment deadline. Without having a chance to plead financial hardship, he was locked up for several hours as a friend scrounged together the fee to rent another few weeks of liberty. Plaintiff Ebony Roberts, nabbed on charges of driving without insurance and speeding, owed over $600 in fines and “court costs.” After she scraped together the $50 extension payment and the driving-insurance debt, she was still warned she “would go to jail for not paying her traffic tickets.” But she never had “an opportunity to tell him that she did not have any money and was just trying to do her best to take care of her two-year-old daughter.” As she faced a long line of fellow citizens waiting to pay the price of avoiding incarceration, her boyfriend rushed out “to purchase Ms. Roberts’s freedom.” One more $50 extension fee later, Roberts is again out on borrowed time, still hounded by a ballooning $370 debt. The longstanding prohibition against debtor’s prisons was enhanced in 1983 in the Supreme Court’s Bearden v. Georgia decision, which prohibited jailing those too poor to pay a fine and mandating judges to consider first whether the defendant had “willfully” refused payment. In response to the suit, Bogalusa’s court has agreed to temporarily halt its financial penalties, which the SPLC says is the first step toward a full overhaul of Louisiana’s financial infrastructure for local courts, widely criticized as rife with conflict of interest. The SPLC says this legal gauntlet systematically subjects the most vulnerable citizens to arbitrary detention and their families to potential collective punishment, as relatives may be harassed as the city seeks to collect on unpaid debts. This predatory criminal justice infrastructure in turn erodes the public trust. Nationally, Representative Mark Takano of California has introduced legislation aimed at curtailing for-profit probation companies that act as collection agencies for court-related debts for minor offenses. Asking for equal justice regardless of wealth doesn’t seem like too much to ask for a constitutionally bound court. But the fact that a city’s criminal-justice system could for years so brazenly traffic in the freedom of its poorest residents reveals how financial corruption exacts a vicious toll on democracy.